When it comes to architecture or computer-aided design, the name Autodesk is often used. And for good reason, the publisher has designed the industry's leading software: AutoCAD. 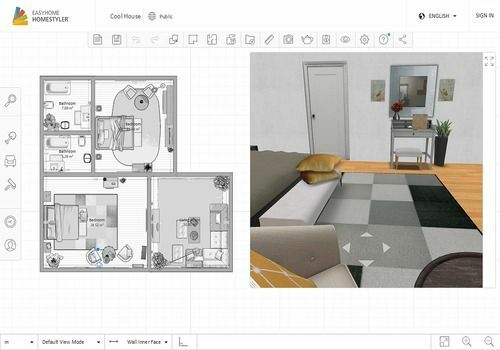 It also offers more accessible solutions that allow everyone to draw plans like Homestyler. This online application is very intuitive and allows you to create plans. The user can instantly visualize the result in 3D. Moreover, the rendering is rather successful. In addition to its Floor Planner, Homestyler offers an astronomical amount of modern furniture and decorative objects with which you can furnish your home. To save your projects, you must register for free.